Rebecca Foerster Named President Of ALROSA USA Inc.
Moscow, Russia--Russian diamond mining giant ALROSA, the largest diamond mining company in the world, has appointed Rebecca Foerster (left) as president of ALROSA USA Inc. In her new position, Foerster will be responsible for developing polished diamonds sales and customer service, but also involved in all aspects of ALROSA'S American office, located in New York. Foerster has an impressive pedigree in innovative marketing, both in the fine jewelry industry and in the cosmetics and beauty industry. 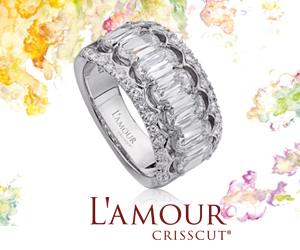 Most recently, she served as executive vice president of strategic planning and marketing at Leo Schachter Diamonds. Prior to joining Leo Schachter, she was vice president and head of the U.S. office of Rio Tinto Diamonds, where she piloted successful marketing initiatives such as "Diamonds With A Story," becoming one of the industry's earliest proponents of using storytelling as a marketing tool. From 1998-2007, she served as vice president of marketing for Frederick Goldman Inc., a New York-based jewelry manufacturer, where she specialized in the bridal market and brand development. Prior to joining the Goldman, Foerster worked at both large advertising agencies and personal-care corporations such as Revlon, Unilever, and Benckiser in strategic marketing and branding positions. 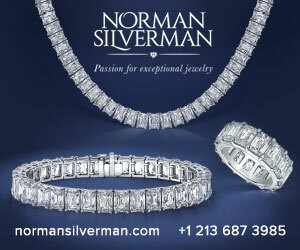 "The United States is the world's largest market for diamond jewelry consumption. For this reason, special requirements are placed on the person who will represent ALROSA's interests there. Ms. Foerster has a wealth of experience in companies that represent almost all parts of the diamond pipeline, from diamond mining to diamond jewelry sales. She knows the specifics of the diamond business and is well aware of American market needs," said Yury Okoemov, deputy CEO of ALROSA. "We believe that her experience and expertise will best help to solve our US company's tasks." ALROSA's office in New York was opened in 2006, but for organizational reasons stopped operating in 2016. The full-scale operation was resumed in 2018, when two rough diamond auctions were held there. This year, ALROSA plans to hold four rough diamond auctions in New York, and to significantly increase its office activity in selling its own polished diamonds. Options for participation will once again include a bike ride in the scenic foothills of Red Rock Canyon, a 5K walk or run, or early morning yoga. The event will kick off at 5:30 a.m. at the Venetian to avoid the heat of the day. Rest stops along the route will ensure that everyone stays hydrated and energized to help raise funds for children in need. The event was named for St. Jude Children’s Research Hospital patients Maggie and Odie. When Maggie spoke at the Facets of Hope dinner in 2012, she shared the story of how she gave Odie a ring with the word “Strength” engraved in it as they fought their shared battle with cancer. Each participant will receive a silver ring like Maggie’s to commemorate their participation in the event, courtesy of Ashi Diamonds, one of the event sponsors. 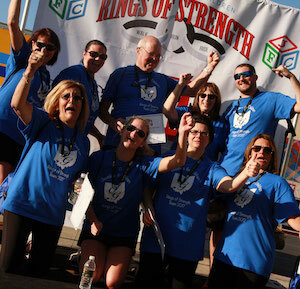 To sign up, visit www.ringsofstrength.org to sign up. During the sign-up process, participants can create their own unique fundraising page and URL which can be forwarded to friends and acquaintances to encourage them to sponsor their participation. Participants can sign up as individuals or build a team page with friends to create even more excitement. All funds raised will benefit the Jewelers for Children charity partners. Once again, JCK Events is the major event sponsor. Ashi Diamonds, Asurion, Freeman, and CMAC have also signed on. New York, NY—Steven Kaiser of Kaiser Time has been elected chairperson of the Jewelers’ Security Alliance. He replaces outgoing chair Stewart Wicht, retired CEO of Rolex, who completed his term. The announcement was made during the JSA’s annual meeting and luncheon on January 12. Newly elected to the JSA board was Alan Zimmer, CEO of the 60-store Reeds Jewelers chain; Patti Geolat of the Geolat Companies; Chris Hackler of Signet Jewelers; Mark Smelzer of JCK; and David Tearle of GIA. Continuing their terms on the JSA board are Chad Berg of Lee Michaels Fine Jewelry; David Bonaparte of Jewelers of America; Marc Green of Lux, Bond & Green; Adam Heyman of Oscar Heyman; David Sexton of Jewelers Mutual Insurance Co.; Mark Udell of London Jewelers; Stewart Wicht of Rolex (although retired as CEO he remains on the Rolex board); and Stanley Zale of Stuller. 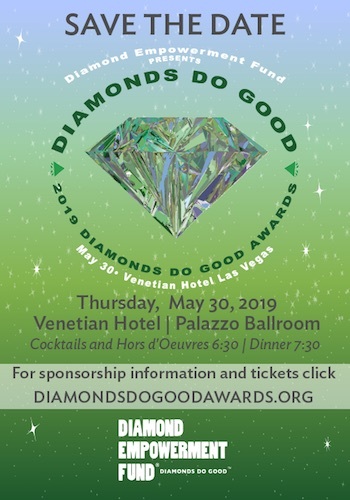 New York, NY—The Diamond Empowerment Fund has announced the date and a new venue for its annual Diamonds Do Good Awards gala in Las Vegas. The event will be held Thursday, May 30 at the Venetian Hotel. Doors open at 6:30 for cocktails. For more information or to become a sponsor, visit www.diamondsdogoodawards.org. Warwick, RI--893 retail jewelry stores closed last year, according to figures from the Jewelers Board of Trade. That number is on par with last year, when 886 retail jewelers closed their doors. The 2018 figures include 852 stores in the United States and 41 in Canada. The total number of jewelry businesses ceasing operations last year was 1,064, which includes an additional 65 manufacturers and 106 wholesalers. But the good news is that the rate of new jewelry businesses opening (including retailers) jumped by 38% over last year's figures--and that may not be all as independent artisans selling directly to the public are not necessarily on JBT's radar. Nor were all the closings financially driven. In many cases, highly successful stores doing solid business closed because their owners wished to retire and had no successor to take over.